5eBoard Level 2: Basic DC Circuits and Electrical Measurements, Science Fair Ideas: Educational Innovations, Inc. Through sequential levels, a student can quickly capture the fundamental concepts and interesting topics in physics, math and engineering, and uses the knowledge to solve real-world problems through carefully designed hands-on experiments and DIY projects. Second in a three-part series designed to help young minds explore modern electronics. This is an ideal STEM education material for K-12 students, summer science camps, homeschool, or after-school programs. Level 2 is intended for 10 to 15 hours study time. Kit includes all the components and instructions necessary for carrying out experiments and projects. Working through Level 1, Level 2, and Level 3, students can quickly grasp the fundamental concepts in physics, math, and engineering, and use their new knowledge to solve real-world problems. All DIY projects and hands-on experiments employ the 5eBoard platform and reusable parts. No soldering involved. Prerequisites: This level requires the knowledge of Level 1 of this series or the equivalent and 2nd grade math and science. Each kit includes all electronic components and materials necessary for carrying out the experiments and projects designed for the level (except for batteries). 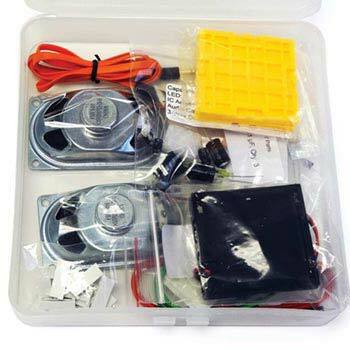 Students can use this 5eBoard kit to make observations to provide evidence that energy can be transferred from place to place by electric currents. Students can use this 5eBoard kit for investigations that requires them to ask questions, make observations, and gather information about a simple problem that can be solved through the development of a new or improved object or tool. Students can use this 5eBoard kit for an investigation that tests two objects designed to solve the same problem to compare the strengths and weaknesses of how each performs. Students can use this 5eBoard kit to generate and compare multiple possible solutions to a problem based on how well each is likely to meet the criteria and constraints of the problem. 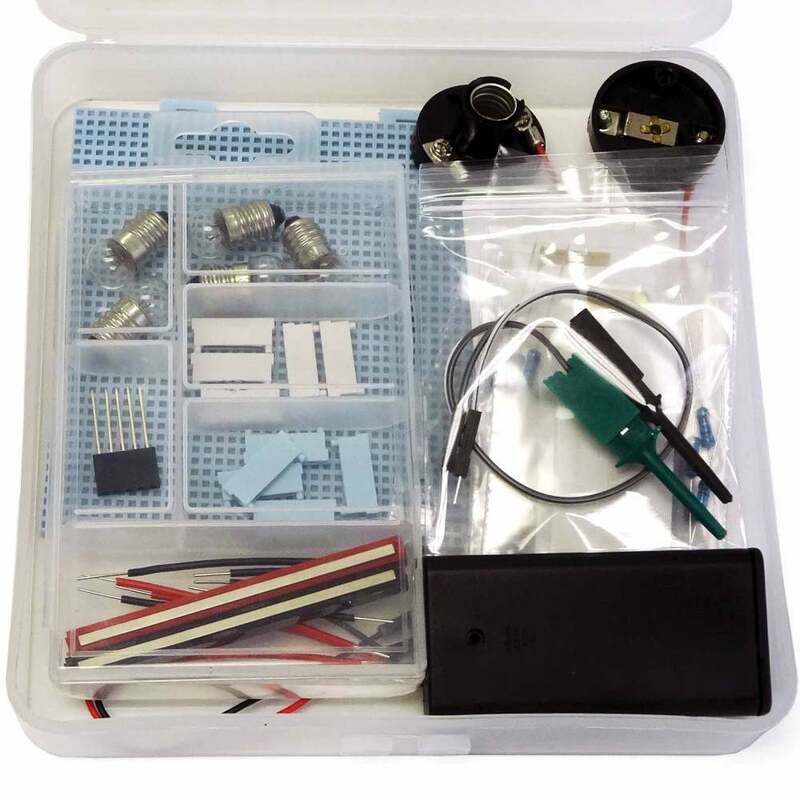 Students can use this 5eBoard kit to plan and carry out fair tests in which variables are controlled and failure points are considered to identify aspects of a model or prototype that can be improved. Students can use this 5eBoard kit to evaluate competing design solutions using a systematic process to determine how well they meet the criteria and constraints of the problem. Students can use this 5eBoard kit to analyze data from tests to determine similarities and difference among several design solutions to identify the best characteristics of each that can be combined into a new solution to better meet the criteria for success. Students can use this 5eBoard kit to develop a model to generate data for iterative testing and modification of a proposed process such that an optimal design can be achieved. Students can use this 5eBoard kit to develop and use models to illustrate that energy at the macroscopic scale can be accounted for as either motions of particles or energy stored in fields. 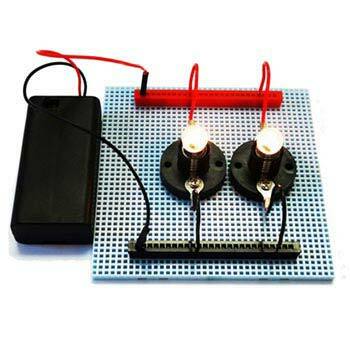 Students can use this 5eBoard kit to develop and use a model of two objects interacting through electric fields to illustrate the forces between objects and changes in energy of the objects due to the interaction. Students can use this 5eBoard kit to design a solution by breaking it down into smaller, more manageable problems that can be solved through engineering. 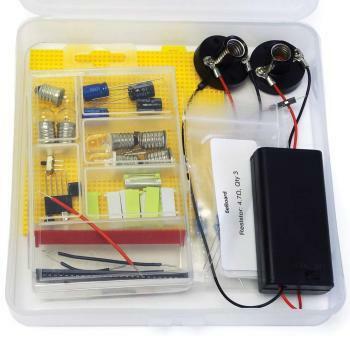 This kit is the second in a three-part series designed to help students explore modern electronics. This is an ideal STEM education material for K-12 students. Mathematical concepts will challenge budding engineers. All the tasks included with the 5eBoard Level 2 kit are hands-on. The reusable parts make it easy to assemble and disassemble. No soldering involved. Some mathematical and electrical knowledge is necessary for specific tasks. The 5eBoard Level 2 explores electrical resistance, color coding, electrical measurements, voltages in a circuit, measure currents in a circuit, scientific notation, electric voltage in series connections, electric voltage in parallel connections, and conventional electric current direction.